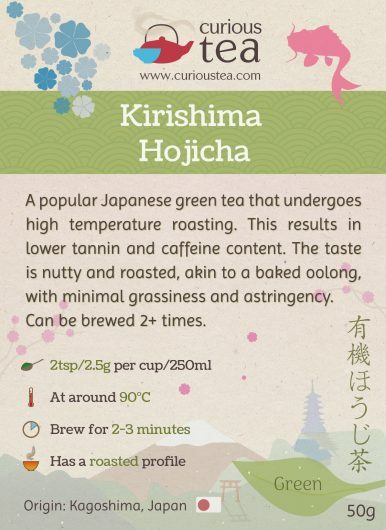 Kirishima Hojicha is a popular and traditional Japanese green tea that undergoes high temperature roasting. This results in a lower tannin and caffeine content. 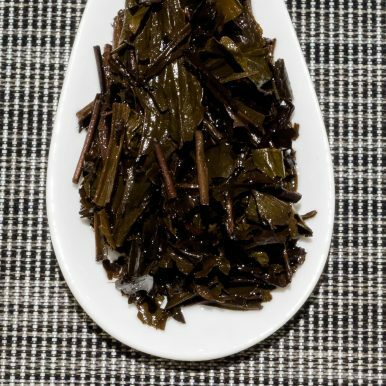 The taste is nutty and roasted, more like a baked oolong than a green tea, with minimal grassiness and astringency. Kirishima Hojicha green tea comes from the foothills of Mount Kirishima (霧島) in Kagoshima Prefecture, Kyūshū, Japan. 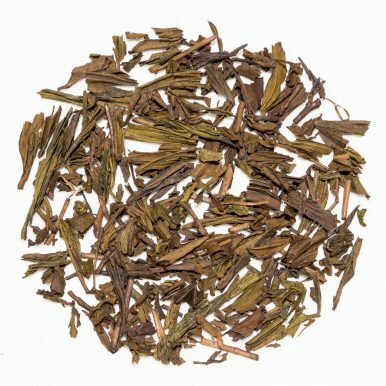 Hōjicha (ほうじ茶), also sometimes Houjicha, is a traditional highly roasted green tea. First produced in Kyoto in the 1920s, it has become a hugely popular tea in Japan thanks to the mildness and smoothness of flavours. This Kirishima Hojicha is grown at an altitude of around 400m above sea level. As Kyūshū is the most southwesterly island of the Japanese four main islands, it enjoys a rather mild climate. But it can still get cold in the highlands, which are covered in snow in the winter months. 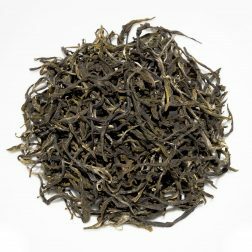 The seasonality of the region requires frost hardy cultivars to be used, which tend to grow leaves slower, resulting in more flavoursome teas. 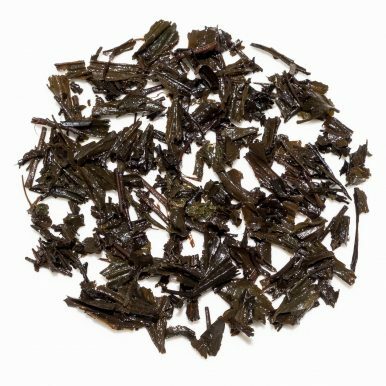 This Kirishima Hojicha also has a full organic certification by the Japanese Ministry of Agriculture, Forestry and Fisheries. Unlike most other Japanese green teas, hojicha is roasted rather than steamed. 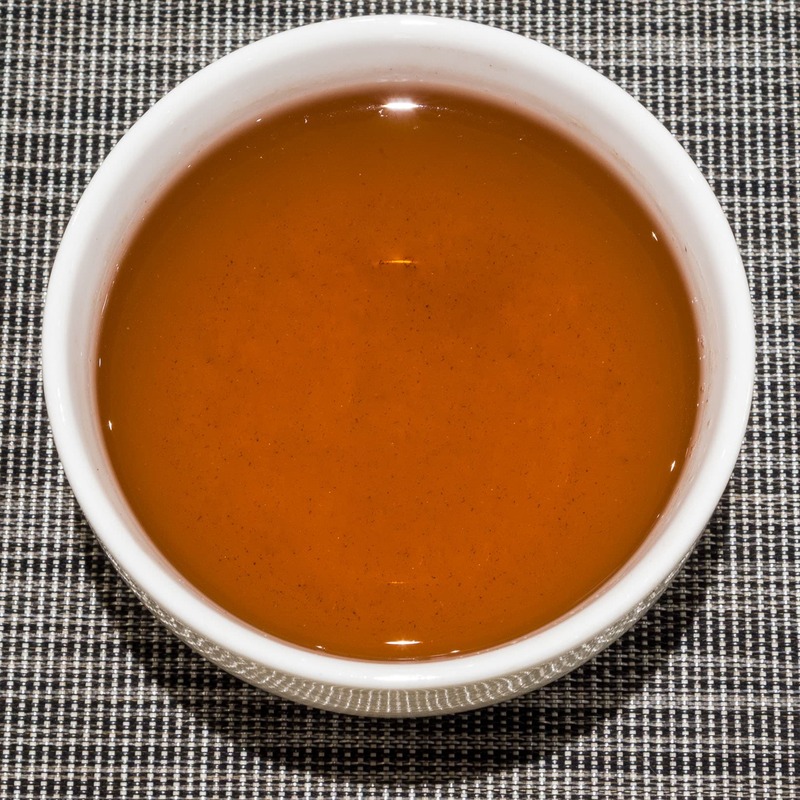 This results in a mild and smooth flavour and the liquor of this tea turns an amber colour, more akin to a dark oolong or even a light black tea. 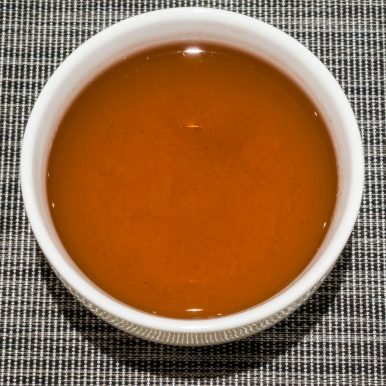 The high temperature roasting process means that this tea is naturally lower in tannins and caffeine. This makes it an ideal choice to have with an evening meal. In Japan it is also marketed to those who are sensitive to caffeine, including children. 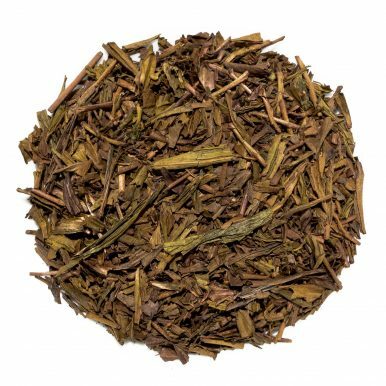 When brewed the leaves produce an amber coloured liquor that is unlike any other green tea you will try both in appearance and in taste. The character is very mild and smooth and there is minimal astringency. 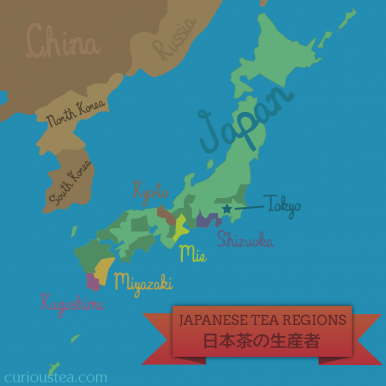 There are no fresh grassy or savoury flavours that Japanese teas are famous for. Instead, the roasted flavours dominate with comforting toasted and nutty notes providing a very pleasant finish with a light mineral aftertaste. This is a perfect tea to have with a meal as the toasty flavours compliment a wide variety of food well. It also makes for a nice evening cup of tea. We suggest brewing at 90°C for 2-3 minutes according to your taste. It can be brewed multiple times depending on your taste preferences. 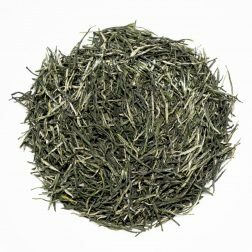 A very fine grade of tea, similar to gyokuro, is ground to a fine powder by stone mills. Has a robust flavour that is high in antioxidants and polyphenols.